Democracy stopped declining in 2018, according to the latest edition of The Economist Intelligence Unit’s Democracy Index. The index rates 167 countries by 60 indicators across five broad categories: electoral process and pluralism, the functioning of government, political participation, democratic political culture and civil liberties. It is stricter than most similar indices: it concludes that just 4.5% of the world’s people live in a “full democracy”. However, the overall global score remained stable in 2018 for the first time in three years. Just 42 countries experienced a decline, compared with 89 in 2017. Encouragingly, 48 improved. In recent years, threats to democracy around the world have become increasingly obvious. The Arab spring fizzled. China’s leader is poised to rule for life. Populists with autocratic tendencies have won elections in the Philippines, Brazil and Mexico and subverted democratic institutions in Hungary, Turkey and Poland. Perhaps because the trend is so glaring—strongmen in different countries often copy each other’s tactics, soundbites and scapegoats—voters are not taking it lying down. Political participation improved more than any other measure on the EIU’s index. This is true even in advanced democracies such as the United States, where voters are highly disgruntled. Polarisation in America has led to anger, gridlock and [a government shutdown]. According to Gallup polls from January to mid-November 2018, the share of Americans who approve of the way that Congress is handling its job had fallen to an average of 18%, down from 40% in 2000. Perhaps because they are so cross, they are more likely to vote. Turnout at the 2018 mid-term elections was the highest for over 100 years. Parts of Europe are suffering from a democratic malaise. Italy fell from 21st to 33rd in the rankings after voters elected a populist coalition that seeks to bypass democratic institutions and curtail the civil liberties of immigrants and Roma. Turkey’s score declined for the sixth year in a row as President Recep Tayyip Erdogan swept aside most constraints on his power. Russia deteriorated for the tenth year in a row, after the main opposition candidate was barred from running in a presidential election and Vladimir Putin continued to crush civil liberties. Sub-Saharan Africa and Asia saw slight improvements in 2018, mostly reflecting higher scores for political participation. The report warns that all this may be a pause, rather than the end of democracy’s retreat. The global rise in engagement, combined with a continued crackdown on civil liberties such as freedom of expression, is a potentially volatile mix. It could be a recipe for instability in 2019. As we peer into society’s future, we – you and I, and our government – must avoid the impulse to live only for today, plundering for our own ease and convenience the precious resources of tomorrow. We cannot mortgage the material assets of our grandchildren without risking the loss also of their political and spiritual heritage. We want democracy to survive for all generations to come, not to become the insolvent phantom of tomorrow. 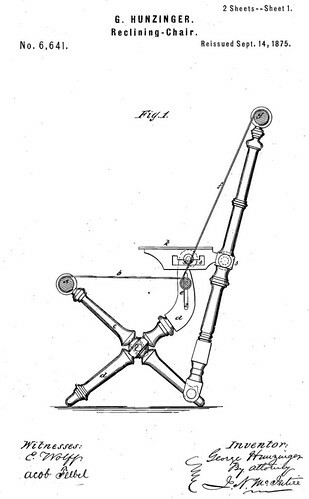 When George Jakob Hunzinger patented his first piece of furniture in December of 1860, the United States was on the brink of a devastating Civil War. Amid the growing pressures of industrialization, the country was split between those in favor of an old-fashioned business model—dependent on slavery—and those betting on a more diversified, innovative economy. At the time, the American way of life as we know it today was hardly recognizable: Gas-powered automobiles hadn’t made their debut; electric lighting was decades away; skyscrapers did not yet exist. Yet from Hunzinger’s vantage point as a successful immigrant in New York City, possibly the most forward-thinking place on Earth, he imagined a future where humans lived among machines, and even the most humble pieces of furniture would be mechanically enhanced. More at: “Furniture of the Future: Victorian New York’s Most Visionary Designer Loved His Machines. 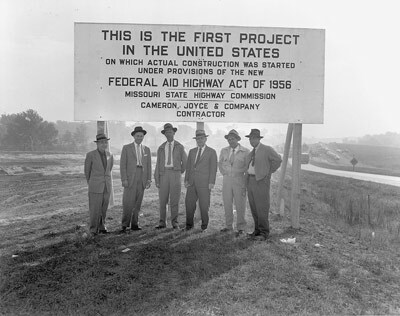 As we settle in, we might think back to one of the driving forces that created the America in which many of us live: on this date in 1956 President Dwight D. Eisenhower signed the Federal-Aid Highway Act, landmark legislation that funded a 40,000-mile system of interstate roads that ultimately reached every American city with a population of more than 100,000. Today, almost 90% of the interstate system crosses rural areas, putting most citizens and businesses within driving distance of one another. Although Eisenhower’s rationale was martial (creating a road system on which convoys could travel more easily), the rewards were largely civilian. From the growth of trucking to the rise of suburbs, the interstate highway system re-shaped American landscapes and lives.